Did You Win Jacques Rivette's Newly Remastered THE NUN On DVD? We've got three DVDs of the once banned historical drama to give away. 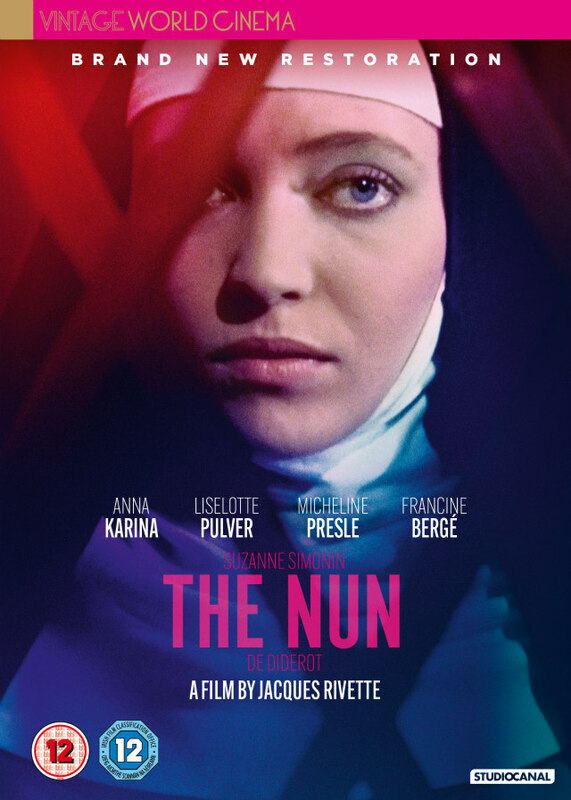 Studiocanal are delighted to announce that, following its selection for Cannes Classics 2018 and its recent screening at the Cinema Ritrovato in Bologna, Jacques Rivette’s controversial French New Wave classic The Nun (La religieuse) will make its UK Premiere on DVD/Blu-ray/EST on 17 September 2018. Banned for two years upon release for its controversial subject matter, with an exception granted for it to premiere at the 1966 Cannes Film Festival to great acclaim, Jacques Rivette’s The Nun is a gem of the French New Wave, encapsulating the turbulent years of the Gaullist government and political instability of France in the 1960s. Adapted from the 18th-century novel by Denis Diderot, the author of 'The Lumieres', the film stars Anna Karina (Alphaville, Pierrot le fou) as Suzanne Simonin, a young woman removed from her family home to become a nun against her will. The character of Suzanne becomes, with Diderot, an allegorical figure of freedom of speech and revolt. In the XVIII century, Suzanne Simonin (Anna Karina) is locked in a convent against her will. She finds for a while some comfort with the Mother Superior, but then she dies and is replaced by a sadistic woman than cannot stop blaming and punishing Suzanne. The young lady gets the right to move to another convent, however, she remains determined to recover her freedom. We've got three DVDs of The Nun to give away to lucky UK readers.